must be guided by the sorts of geniuses who end up working in the Commerce Department. 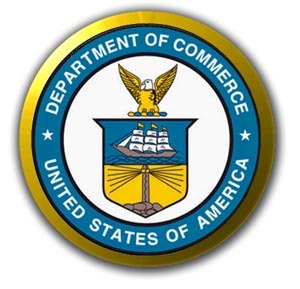 A. Agitate for better personnel at the Commerce Department. B. Abolish the Commerce Department. This is our lucky day! It turns out that back in January President Obama asked Congress for the authority to do just that, so all we have to do is put together a bipartisan consensus of National Review pundits and Mother Jones pundits and we should be all set. Of course, there are some details to work out here, just like there always are when people suggest getting rid of cabinet departments. The Commerce Department, for example, includes the Census Bureau. Can’t get rid of that. BEA produces some pretty useful statistics. NOAA does good work on that whole hurricane prediction thing. NIST is handy to have around so we know what time it is and how long an inch is supposed to be. Patents and trademarks really need to be kept going. And someone has to negotiate trade agreements. Anyway, it turns out Obama wants to keep all that stuff and just put it into a new agency with a different name, which means that even his optimistic estimate is that deep-sixing Commerce would only save $3 billion per year. Nothing wrong with that, but it’s not exactly earth-shaking stuff. Williamson might want the ax to swing a little harder, but I’m not sure how much harder it can really swing. In any case, this is a good example of the problem with people — usually people running for president — using the elimination of cabinet departments as conservative applause lines. It sounds good, but it’s like taking potshots at the visible parts of icebergs. What you really want to do is look below the waterline and ask which agencies all those presidential wannabes are planning to get rid of. After all, just shuffling them around into other departments doesn’t save much money.